Champion Sangma Case: The manner in which the respondent proceeded in this matter is clearly impermissible, violative of the rule of law and offends the petitioner’s right under Article 21 of the Constitution as he has been detained in custody by adopting totally faulty and illegal process, said the Bench. The Supreme Court has ordered the release of “Champion Sangma” from custody by allowing his habeas corpus petition. Champion Sangma is alleged to be the leader of the Garo National Liberation Army. According to an Indian Express report, Champion Sangma, whose real name is Pakchara R Sangma, is a postgraduate in philosophy from the Northeastern Hills University, Shillong. He was recruited to the Meghalaya Police Service as a DSP in 2004. But he remained on probation till 2009, until one day he disappeared. Sangma’s grievance before the Supreme Court, as laid out in his habeas corpus petition, is that he has been in custody since 30th July 2012, during which time the state has continued to implicate him in different cases. However, he has not been made aware of the status of each case. He has not been supplied with proper documents, nor has he been formally arrested in these cases. These cases have been kept in abeyance, only as insurance against the petitioner’s release and each time that he is granted bail in a case, his release orders are stayed on the orders of the executive and on the pretext that there are non-bailable warrants pending in one or other of these pending cases, that had admittedly never been executed, or even brought to the notice of the petitioner (or the jail authorities) before. It was to redress this systematic abuse of power that he prayed the indulgence of the court. In an earlier order dated 7th April, 2017, the Supreme Court had directed the state of Meghalaya to furnish him with a list of cases where he was shown as arrested and had given him the liberty to seek bail in such cases. Sangma’s plea was that he had applied for and had been granted bail in all cases where he was shown arrested. However, his release from Shillong Jail was stopped on the orders of the Assistant District Magistrate of Resubelpara, who said there was a case pending against Sangma in his district. The order also stated that the case records were actually in another court (Williamnagar Sessions Court) and the ADM was passing this order without any actual records in his office. Terming the extended custody on the basis of this order as illegal and without the authority of law, the habeas petition was filed on his behalf. 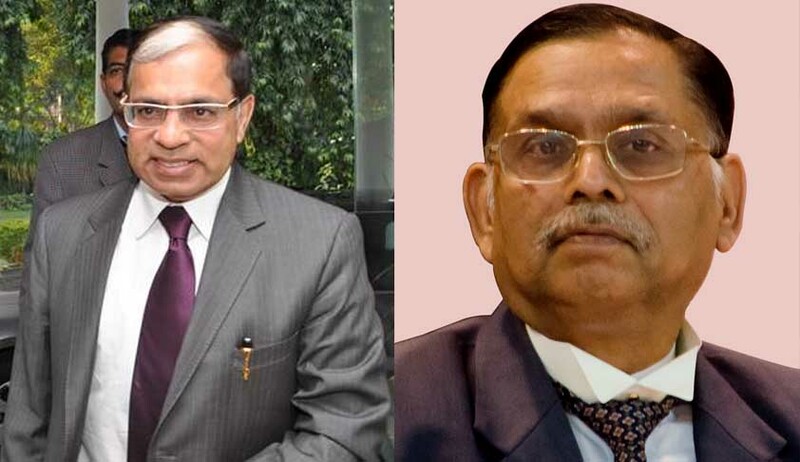 The bench comprising Justice AK Sikri and Justice Ashok Bhushan endorsed the arguments of Advocates Sharukh Alam and Liz Mathew that the custody was made without the authority of law. The court noted that the case was originally filed in the Sessions Court at Williamnagar, which is the district headquarter of East Garo Hills district. No proceedings have taken place after 2012 in the case, which is pending before the Williamnagar court. Meanwhile, the East Garo Hills district was bifurcated into North Garo Hills district, with its headquarters at Resubelpara. However, the case records were not transferred to the Resubelpara Executive magistrate’s court. The court noted that in an inexplicable act, the officer-in-charge filed an application opposing the ‘bail application’ of Sangma, on the basis of which the Resubelpara court created a record file for Sangma and passed orders for his continued detention. “We repeatedly asked the learned counsel for the respondent to point out as to under what provision, in the aforesaid circumstances, this application should be filed when there was no formal arrest of the petitioner, though nobody prevented the respondent to arrest the petitioner in the aforesaid case. Learned counsel for the respondent could not give any reply to the aforesaid question”. “The manner in which the respondent proceeded in this matter is clearly impermissible, violative of the rule of law and offends the petitioner’s right under Article 21 of the Constitution as he has been detained in custody by adopting totally faulty and illegal process”, said the Bench. Though the prosecution has moved an application before the Court of Additional District Magistrate (Judicial), North Garo Hills, opposing the bail application made by the petitioner in the court, in fact, no such bail application was ever filed by the petitioner. There was no question of filing any bail application in the first place as the petitioner was never arrested in this case. When the aforesaid application of the prosecution purportedly opposing the bail application of the petitioner was filed, the learned Additional District Magistrate (Judicial) did not have any records of the case, except the application which was put up before him and the averments made therein. No notice of this application was ever served upon the petitioner. The application was considered ex parte and treating the averments made in the said application as gospel truth, the prayer made in the application was allowed. “The effect of the aforesaid order passed by the Additional District Magistrate (Judicial) is that the petitioner remains in custody even when he is not arrested in the aforesaid case and has already been granted bail in all other cases”. The order was termed non-est, nullity and without any jurisdiction and the court ordered the immediate release of Champion Sangma. The order is of great significance because it underlines that even when allegations against the accused are serious, the state especially cannot eschew due process. The state has to always play fair.